The difference between me and other real estate agents is that I dedicate my time to getting my sellers the most money for their homes! I don't overload myself with too many clients since that would be unfair to those who committed their business to me. Most people are unaware of the amount of time involved with prospecting for new business. Agents who sell fifty, one hundred, or more homes per year are realistically not able to give their clients the time needed to sell their homes. Instead they rely on lesser experienced agents or assistants to bridge the gap. 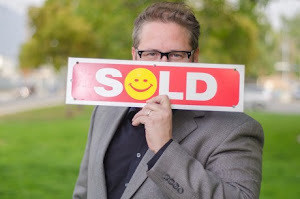 I have a support team myself but still do every open house, all negotiations, and buyer interaction exclusively so my buyers and sellers know that the person they hired is working entirely for them. If this makes sense for you, call me today (818)516-7387 for your no-obligation consultation. I'm looking forward to being your trusted real estate partner!